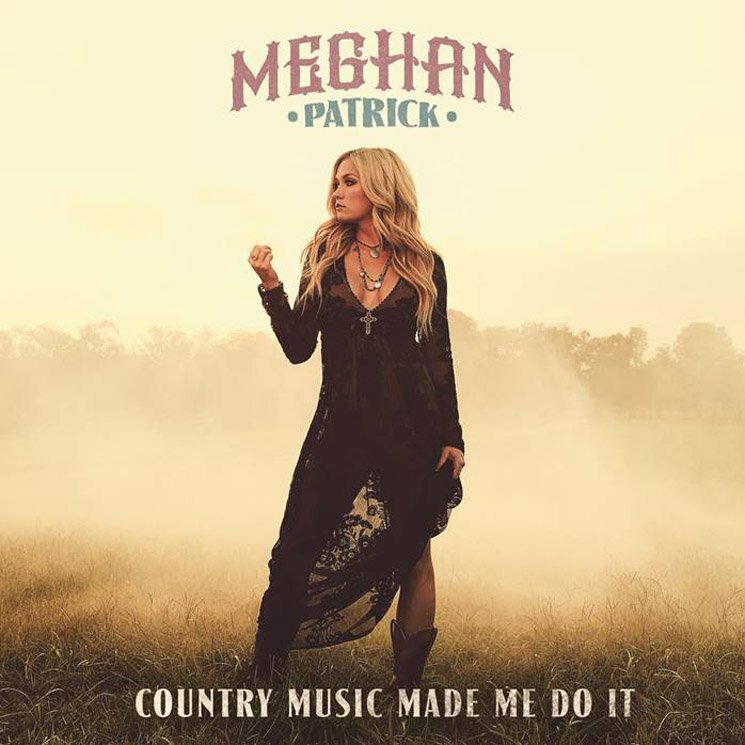 On her sophomore project, Country Music Made Me Do It, Meghan Patrick firmly establishes herself as a force to be reckoned with in her genre. Once the lead singer of the Bluegrass band, The Stone Sparrows, Meghan Patrick signed on with Warner Music Canada in 2016 to release her debut project, Grace and Grit. Since then, she’s had a slew of success on the Canadian Country charts, with all five of her singles thus far reaching the top twenty (the title track to her new album is her biggest hit yet). While she has earned a reputation as Canada’s answer to Carrie Underwood, her new project sees Patrick coming into her own as an artist and performer. She is truly an artist with a distinctive personality. The album’s title alone can hook you with its mysterious framing. What did country music make her do, exactly? Considering the genre’s common tropes, it could be anything from a fun drinking song to a dark murder ballad. Instead, it’s a heartfelt tribute to how country music made her passionate enough to pursue a career in the industry. She does allude to facing some hardships (there’s a verse about a guy “giving her trouble,” and what a time for that line…), and overall it’s a nice introduction into what is a really solid album. Patrick’s style is so familiar and yet so unique at the same time. It’s also overwhelmingly contemporary – the guitar work often contains some very modern edges – and sonically it feels like exactly what should be played on country radio in 2018. Patrick’s top-notch vocals serve as another asset to the album – she’s got some real power to her voice, with a fiery twang reminiscent of Maddie Marlow of Maddie and Tae. The organic instrumentation hints at styles from the 2000’s, and yet there’s enough of a modern texture here to make it feel like its driving the genre forward. This truly is contemporary country music done right. 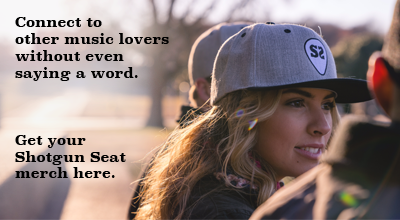 A song simply called, “George Strait” may not excite the listener much, but it’s a solid love song with a soothing melody and softer percussion to help set the mood. Like any good contemporary project, so much of this is just pure ear candy and so melodically pleasing. “Hardest On My Heart” has a nice edge to the guitars and a swampy energy that shines during the chorus. The songwriting is exceptionally strong as well, and narrative structure of “Walls Come Down” is easily the highlight on this project. It’s a charging, thunderous country-rock track that shows both sides of a family feud between a mother and a father (as well as the sister and what we can assume to be her reaction to all of this) that shows how they both cheated on each other. The moral ambiguity is present here, mostly because they both sinned, and now their actions have a direct action on how the sister in question reacts (popping pills). It’s a dark, uneasy track that shows a family coming apart, and the fact that there’s no “good” side here makes it all the more interesting. Of course, moral ambiguity is a motif on the best tracks on this album. “The Bad Guy” sees her dealing with the fallout from a relationship in which both parties fell short and accepting that perhaps she is partly to blame for its ending. She calls her ex-lover long after she dumped him, only to regret it later. The somber nature of the song makes for a much stronger emotional connection. “Small Town” also grapples with blame, and in the end, she just leaves instead of letting the bitterness linger. The mature framing of these tracks ultimately signals that these songs are triple threats in terms of their writing, performance, and production. The aforementioned tracks aren’t meant to overwhelm the project with darkness or uneasiness. “The Buzz” is an ode to all of us out there that need a break from the stresses of life, and “We Got It All” celebrates the smaller things in life. They may be familiar themes, but they’re important to hang onto. The only real misfire is “Underrated” which sees Meghan calling her lover “underrated,” a comparison that really makes no sense for a love song. The second half of this album continues to boast strong selections from Patrick. “Hardest On My Heart” and “Case Of Beer And A Bed” cleverly depict a couple falling apart because they focus to intensely on material goods (“We were candlelight pizza box millionaires digging for quarters in the couch just to get a bus”). They’re testaments to how witty and specific Patrick can get with her writing, ultimately showcasing a more interesting and unique perspective. Overall, Meghan Patrick crafted a smart, wonderfully produced album that dispels the ridiculous rumor that contemporary country can’t be done right. Enough can’t be said about just how strong this sophomore effort is – the melodies often soar, and the production and instrumentation also has enough of an organic edge to rest easily on the listener’s ear. The lyricism also showcases a strong thematic undercurrent of darkness and despair, while ultimately finding a ray of light. Thankfully, country music made Meghan Patrick pursue her passion, because Country Music Made Me Do It truly feels like the next step forward for her. Follow Meghan Patrick on Twitter, Facebook, and Instagram, and be sure to check out her new album here.